Articles from the July 18, 1931 (Vol. 13, No. 29, Whole No. 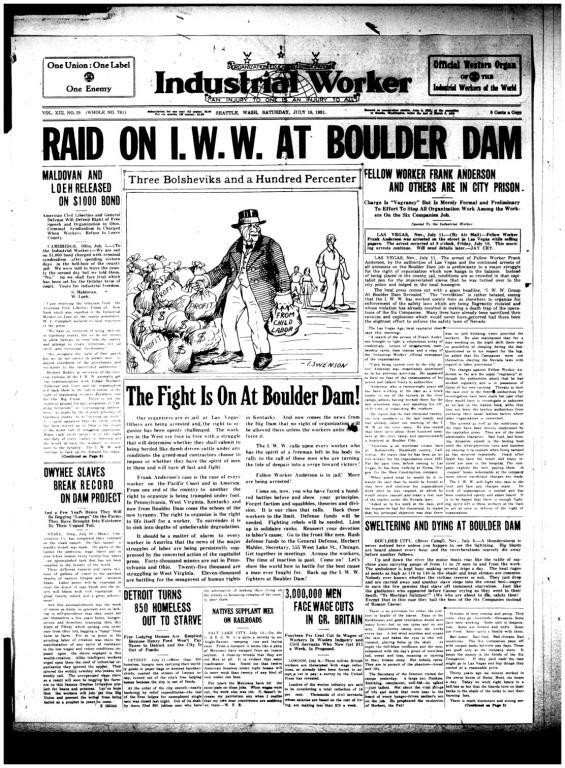 761) issue of the Industrial Worker, the newspaper of the revolutionary union, the Industrial Workers of the World (IWW).